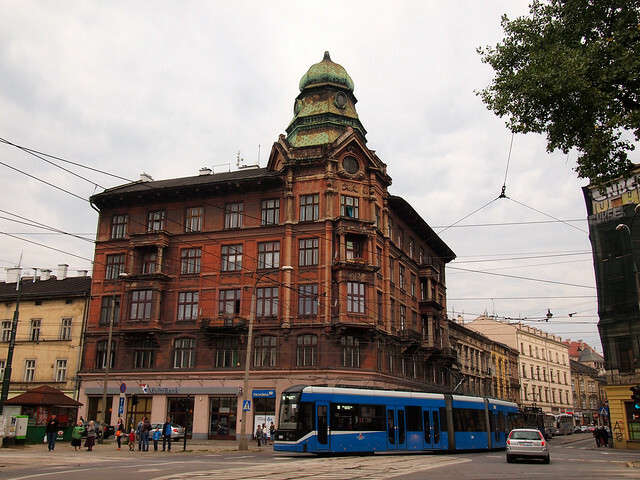 When it comes to Polish cities, many have a lot in common — mainly that a lot of the most historical ones were destroyed by the Germans during WWII, and have since been rebuilt. Warsaw, Gdansk, Wroclaw, Poznan… they all suffered quite a bit during the war. 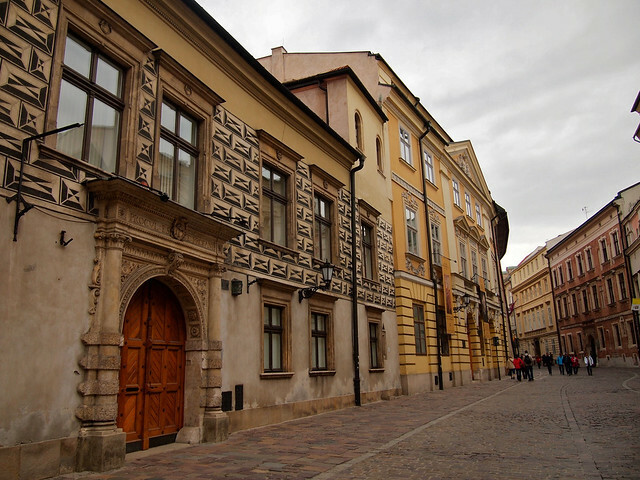 This interesting city in southern Poland was spared by the Nazis because it served as the capital of Occupied Poland during the war — therefore more or less preserving it and its history. 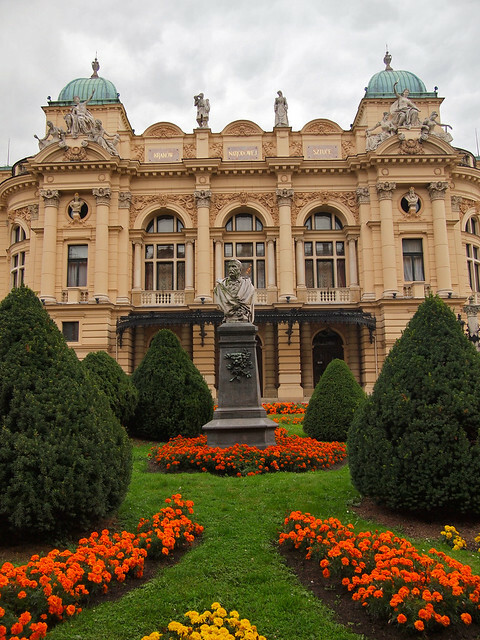 Today, Krakow is one of the most-visited places in Poland. 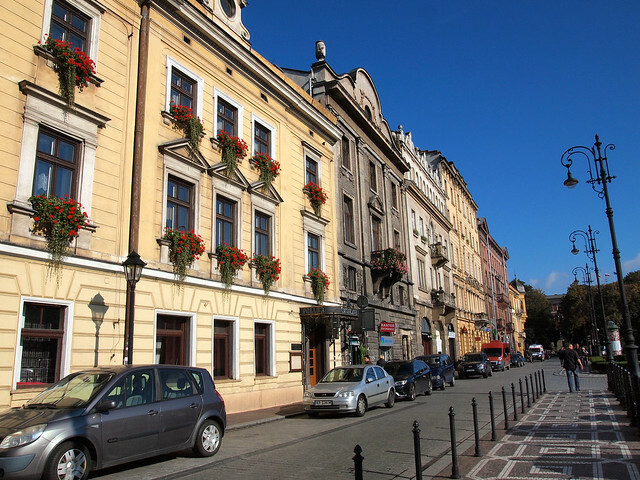 Krakow is known for its picturesque historical center (the Old Town, the Kazimierz neighborhood, and Wawel Castle) that was recognized as a whole by UNESCO in 1978 as a World Heritage Site. You probably know this about Krakow, however — there's a reason that millions of people flock to see its pretty historical buildings each year, after all. Krakow served as the capital of Poland for more than 500 years, from 1038 to 1596 (and then again during the Nazi occupation). Pope John Paul II spent most of his pre-papal life in Krakow (back then he was known as Karol Wojtyła). 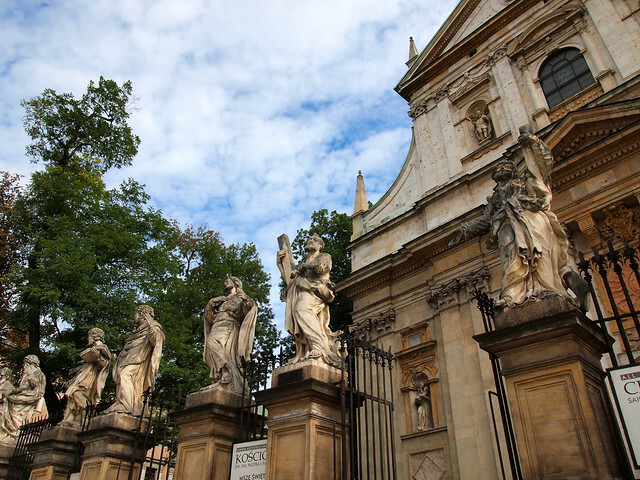 Krakow is home to Jagiellonian University (the University of Krakow), which was founded by King Casimir the Great in 1364 — making it the second-oldest university in Europe. While I didn't quite fall in love with Krakow the way I did with Warsaw (what is it with me feeling kind of “meh” about gorgeous historical cities?? ), there's no denying that it is a great destination. 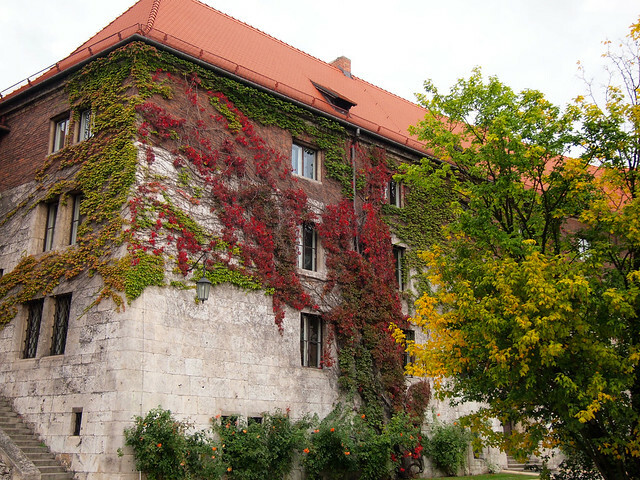 Explore Wawel Castle — and definitely don't skip going inside the Cathedral. There are also some really amazing tapestries in the State Rooms. 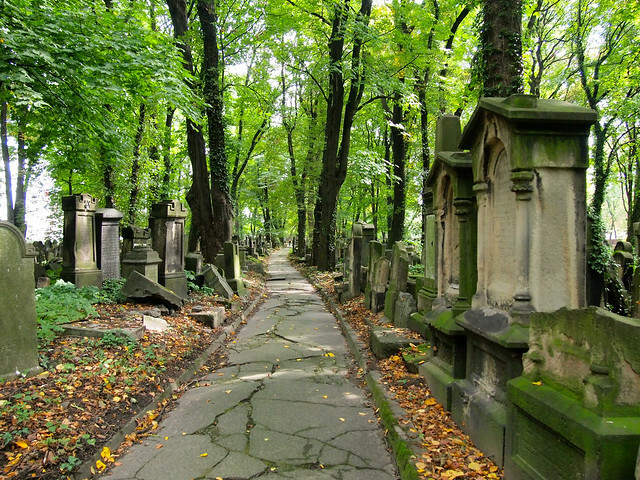 Visit the Jewish Cemetery and have a wander around the Kazimierz neighborhood (known as the Old Jewish Quarter) — it's grittier than the perfectly-manicured historic Old Town. Visit St. Mary's Basilica in the Main Market Square. Around noon each day they have a special ceremony to open the massive gothic altar piece. The inside of the church is also just stunning. Also be sure to check out the “Cloth Hall” in the Market Square — today it's filled mostly with souvenir vendors, but there is also a really fascinating underground museum about the history of Krakow here. Just remember that there's more to the city than the Market Square! 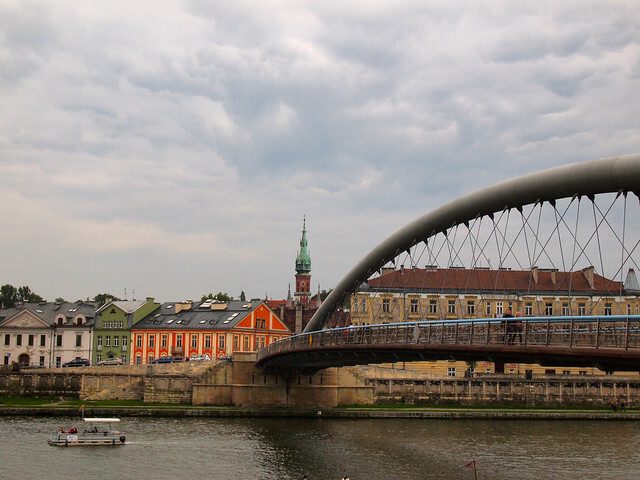 Is Krakow a place YOU want to visit? 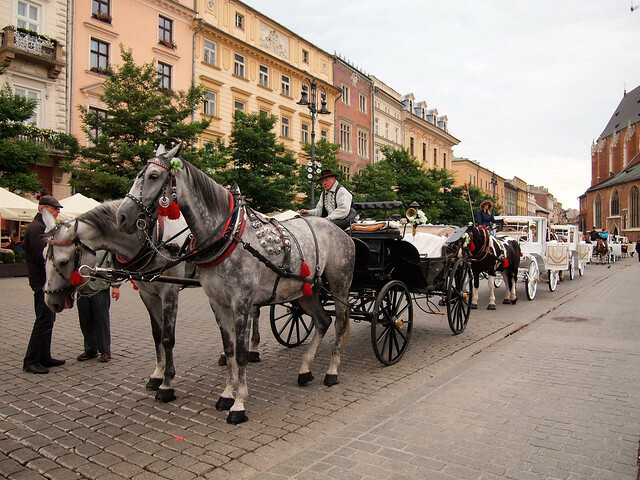 *Thanks to Krakow Tourism, who helped me out with a guide for an afternoon in Krakow. I learned so much about the city's history this way! Great photo tour! I’ve been told Krakow is the most beautiful city in Poland but now it’s totally obvious! 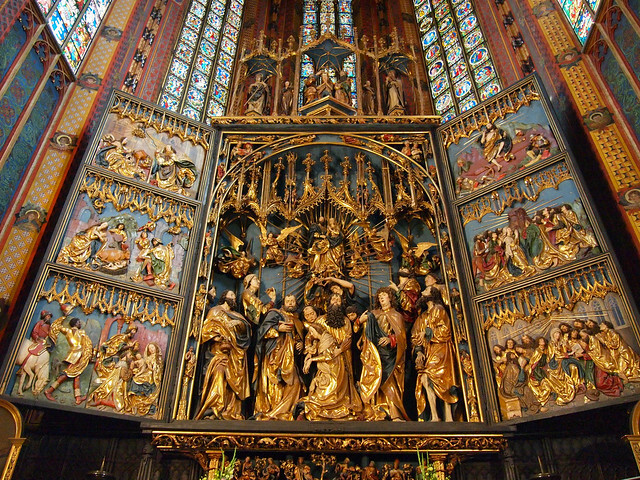 I love the interior of St. Mary’s Basilica and that incredible altarpiece. 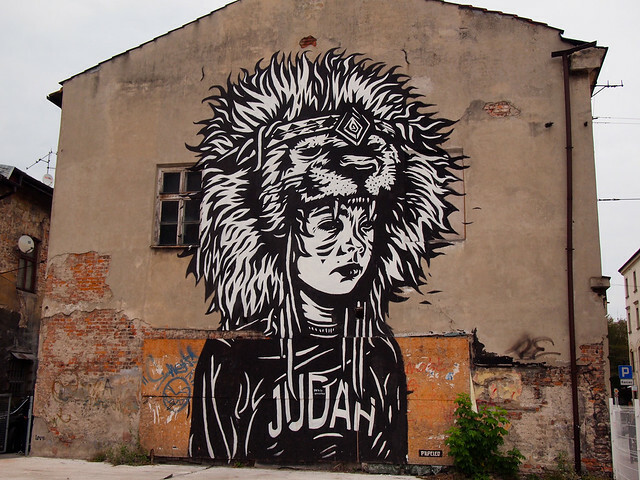 It’s also very cool to see street art mixed in with the historic buildings. Thanks! I’ve only been to a few cities in Poland, so I can’t say if it’s really the most beautiful or not – but it sure is easy on the eyes! Glad you liked the post. Gorgeous photos – Krakow seems to keep popping up on a lot of budget travel lists as one of the more affordable European cities to visit. Thanks for including so many interesting historical tidbits too – not enough of that in travel blogging!! It’s definitely an affordable destination! All of Poland is, really. And you’re welcome about the historical tidbits! I’m a history nerd, so I love that sort of stuff! I’ve known many people who have visited Krakow, but I never heard those historical facts. It sounds like a great historical city to visit. 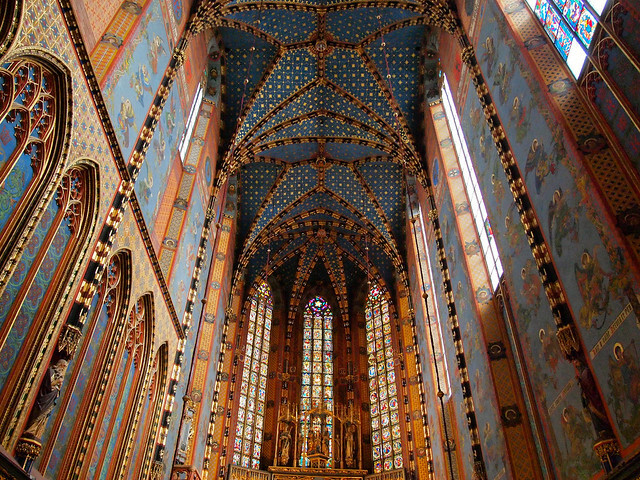 Regardless of how you felt about Krakow your pictures are gorgeous! No matter how hard European cities try to rebuild after the war, you can always tell the ones that were not rebuilt from scratch and Krakow certainly falls into that category! Funny that no one focuses on the history! Krakow’s is quite interesting, if you ask me. Glad you liked the photos! There’s definitely no denying that it’s a good-looking city. I just loved the ceiling of St. Mary’s Basilica. 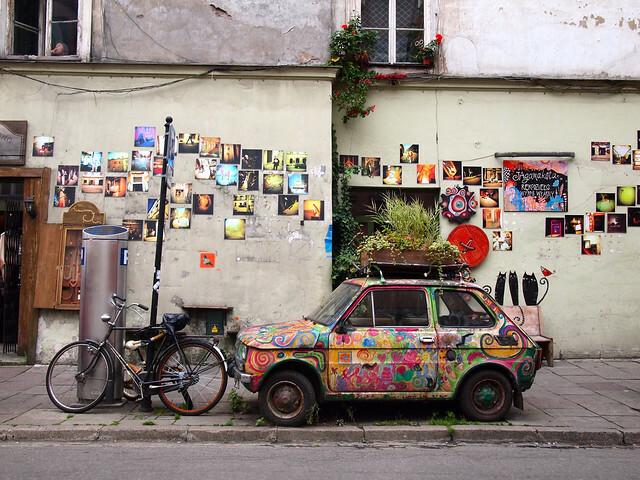 Great pictures and perspective on Krakow. Yes, how amazing is St. Mary’s? From the outside it doesn’t look all that ornate or special. But inside… wow! I was so surprised! Oh wow! Krakow really does look so beautiful in your pics. I particularly like your photos of St Mary’s Basilica – it looks stunning and so impressive. I’m on the hunt for more cities that are easy to get to the UK for my take 12 trips challenge – Krakow, you’ve just been shortlisted! Thanks Amanda! Interesting that you felt the same as we did – enjoyed Krakow but not as much as Warsaw – when most people say the opposite (so I’ve been told). Yeah that’s kind of what I’ve heard, too. I dunno if it was because I visited Warsaw first, or that Kami was such a great guide, or if the vibe in Warsaw just seemed so much more… real and alive, like it’s a living, breathing city and not just someplace people go to look at pretty buildings – but I just connected with Warsaw a bit more. Though, Krakow is definitely awesome, too! I didn’t make it to Krakow but I did get to Warsaw and always felt like I was missing out by not heading to Krakow instead. thanks for reassuring that, that may not be the case. photos are great however and the bascillica looked amazing! I usually hear that people tend to prefer Krakow over Warsaw. I think I must have just timed it right in Warsaw, because I really enjoyed that city. I liked Krakow, too, but I didn’t connect with it as much as I did Warsaw. And no, did not get to Zakopane, but DID make it to Wieliczka. I always find it fascinating that certain cities remained completely intact even when others were being obliterated. That’s interesting to see that at least from the couple of pictures you posted, the Jewish cemetery was not destroyed. 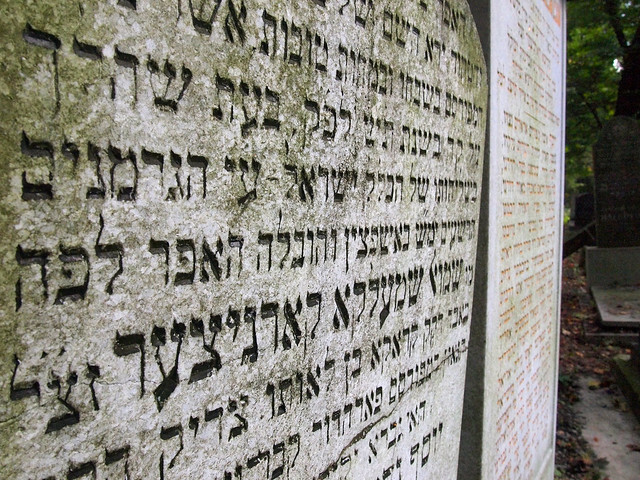 No, the Jewish Cemetery seems like it was untouched – along with the rest of the “Old Jewish Quarter,” thankfully. And yes, I find it fascinating how some places are completely destroyed in war, while others survive with hardly any damage. Recently learned how a lot of cities West of Poland were destroyed by the Nazis, good to see this one survived! Great photos. This is one of the few that survived relatively unscathed! I went to Krakow in the middle of winter and felt meh about the whole thing. It was too cold to appreciate anything. But your pictures make it seem a lot more beautiful compared to my memories. Funny how much the weather can influence your feelings about a place/experience. I was there in September, and had a mix of sunny and overcast days. Maybe you’ll have to give it a second chance someday! YES! We chickened out last year b/c we were afraid of the cold – it was December. I’d love to make it back to Europe and visit. What a cute place. I would highly recommend it! But yeah, maybe not in the winter if you don’t like the cold! Really stunning photos! My personal fav is the Street Scene in the Old Jewish Neighborhood. I really love that photo too, Jeff! Krakow hasn’t really been on my radar but it looks beautiful! I love visiting the old Jewish quarters of European cities. So much character! SO much character indeed! And yes, Krakow is a really beautiful city. Love the car and bike shot. Really interesting composition. Thanks! I saw it and couldn’t resist. It was just so interesting! I am going here in November and this makes me SO excited for it!!! Thank you so much for posting this! I hope you have a great time! It’s a really cool city! A Dangerous Business is a participant in several affiliate programs. As an Amazon Associate, this site earns from qualifying purchases. Read the site’s full Privacy / Disclosure policy here.